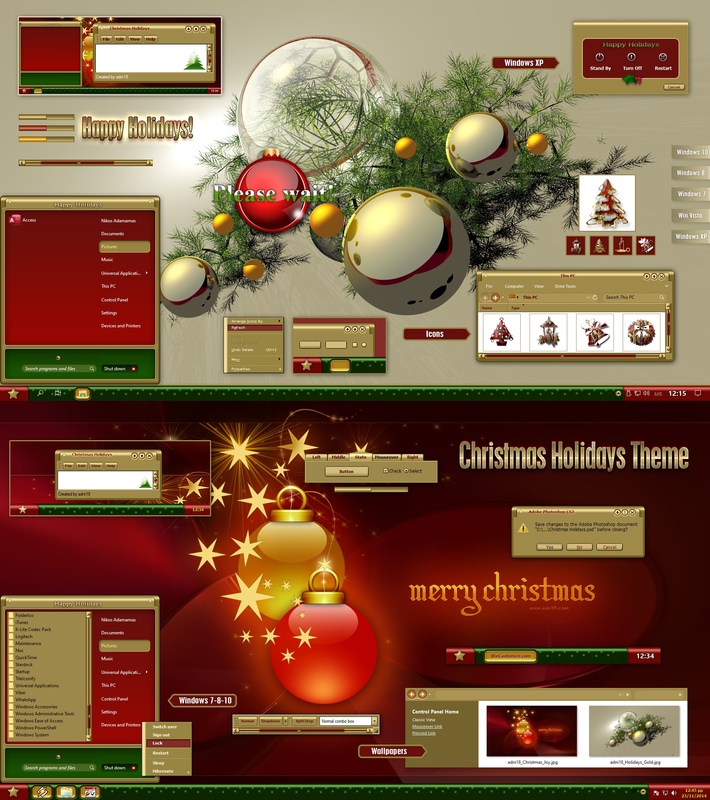 This old Christmas skin (1st version at 2002) has been updated to work fine with Windows 7 and 8. (Windows XP and Vista are also supported). This is a major update, most graphics and the script have been changed and improved; new graphics have been added, though, I have tried to keep the original style of the skin. With the opportunity of this update, I wish you all Happy Holidays! I don't like those colors, but it's still a very nicely realized skin. OMG! Adni, this is gorgeous Xmas skin. Thanx. Beautifully understated......your style is always so subtle! You know a Main St. versus a Madison Avenue Christmas.Happy Holidays! This is really beautiful. I love the choice of grren and gold, with red insets. Very elegant. Too bad I really hate --HATE-- christams. Maybe next July I'll use it. I know the colors are a bit difficult for every taste, but are the Christmas colors. I know that you love red colors Happy Holidays! Thank you karma tba for your nice comment Happy Holidays! As a Christmas lover, I have to give this a 10. Nikos, this is lovely! Very very nice Wonderful coloring ... very classy. Very nice Yes, Very nice. Excellent theme Nikos. Love the combination of colors.